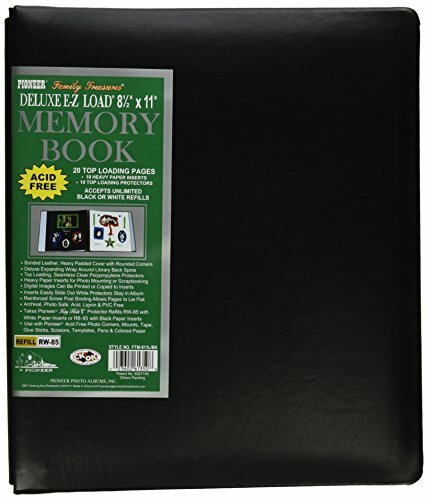 This Family Treasures scrapbook features a deluxe bonded leather cover and post bound construction for the easy addition of refills. The book contains 20 8.5"x11" top loading pages (10 seamless clear protectors and 10 heavy white paper inserts). The scrapbook measures 11.5"x9.875"x1.375". Uses refills RW-85 (white) and RB-85 (black). Photo Safe: Acid, lignin and PVC free.